SPECIMEN HOUSE HAS MOVED!!! Our new address is 370 Wilshire Road, Oceanside, CA 92057. Our new nursery is by appointment only, so please call us first at (760)944-1193. 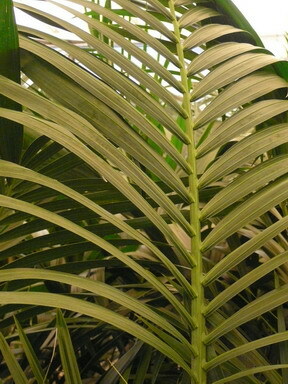 Specimen House, Inc. is a wholesale nursery which specializes in acclimatizing palms, dracænas, and character tropical plants for the professional interiorscape market. These plants, ranging in height from three to 14 feet, have been grown in Hawaii and Florida for strength, and then acclimatized in California for durability. Specimen House understands the interiorscapers’ market and will work with you to supply and service your special plant needs. That’s why Specimen House guarantees our plants to be well-rooted and disease free. Our plants are strong, healthy, and ready for immediate installation by the interior plantscaper. The Specimen House staff makes frequent trips to Hawaii and Florida in search of unique plants for our California facility. We know current and future availability from our suppliers’ 500 acres of stock and production facilities.